A haulage firm ordered off the road by the New Zealand Transport Authority for a series of alleged safety breaches claim a series of similar actions around the country could cripple the Kiwi economy. Stan Semenoff Logging, a company part-owned by former Whangarei mayor Stan Semenoff, is fighting an NTZA decision to revoke their licence after incurring 119 road safety breaches and has won a High Court injunction to stay on the road until an appeal hearing in May. The log trucking company is just one of many transport operators facing closure after an NZTA crackdown: the NZTA have issued another 114 'notices of proposals to revoke/suspend' transport operator's licences. Revocations mean the operators must get off the roads. In the three years to mid-2018, the NZTA issued 66 revocation notices; in the last six months alone, they have handed out 20, including to Semenoff Logging. Last month, they revoked the licences of two Southland operators, Clutha Transport and McDowall Rural Services. The NZTA action came after Transport Minister Phil Twyford said the agency had failed in its duties as regulator, and the agency appointed lawyers Meredith Connell to address their compliance backlog. "We think the downstream effect alone of our business being shut down is probably going to affect another 1,000 jobs in the north," said Semenoff Logging general manager Daron Turner. "The infrastructure is stretched anyway so if the service isn't there, the wood doesn't move. We move about NZ$87million of logs a year - that NZ$87m isn't going to get to market. 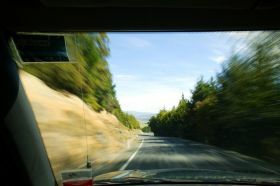 "That's just one company - now there's another 120 the NZTA is threatening to revoke the licences of, and that will cripple this country's economy. Product will not be able to be moved." Turner said he knew of two other trucking firms in Northland alone which faced revocation notices. "I can't believe that people can't see the implications that this is going to have on the country. I can't believe it's not been on the front pages. We are just one of many." Zane Cleaver, director of logging firm Pango, said Semenoff Logging trucked 40,000 tonnes of logs a month from his Northland forestry operations, and without them his business would suffer because there were no obvious alternatives: "It simply wouldn't be a matter of us ringing us someone else in the event of these guys getting shut down."